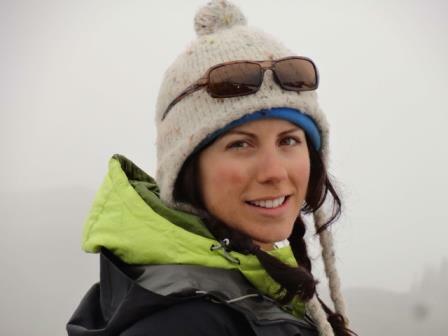 Sandra Rosset is currently a Master's degree candidate at the University of British Columbia, within the Mineral Deposit Research Unit (MDRU). Sandra graduated from the University of British Columbia Okanagan in 2010 and has been working in the mineral exploration industry for four years. Her industry experience has largely focused on exploration for alkalic and calc-alkalic porphyry deposits within British Columbia. Sandra has worked for junior and major mining companies and has had the opportunity to gain experience in the full spectrum of exploration programs from early stage permitting and regional mapping, into management of geochemical, geophysical and drilling programs, through to reclamation. The KSM (Kerr-Sulphurets-Mitchell) Project has total proven and probable reserves of 38.2 million ounces of gold and 9.9 billion pounds of copper. The Kerr deposit contains probable reserves of 242 million tonnes at 0.45% Cu, and 0.24g/t Au (2.4 billion lb’s Cu, and 1.9 million oz’s Au). The Deep Kerr deposit, discovered in 2013, has an initial 2014 resource estimate confirmed at an inferred resource of 515 million tonnes at 0.53% copper and 0.36g/t Au (6.1 billion lb’s Cu, and 5.9 million oz’s Au). Research at the Kerr and Deep Kerr deposits will focus on characterization of alteration assemblages and their spatial distribution to provide a better understanding of the correlation between alteration assemblages and mineralization. This will be achieved through (1) detailed petrographic analysis; (2) SWIR spectral analysis of white micas; (3) major and minor element geochemistry and verification of SWIR results through SEM, XRD and EPMA analysis; and (4) a sulfur isotope study to identify variability with respect to mineralization and alteration mineral assemblages.